The Office of the Inspector General (OIG) conducts investigations of employee misconduct and performs audits and inspections of Department programs and operations. 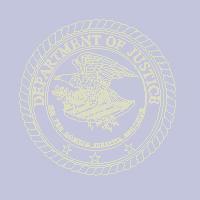 The OIG investigates allegations of misconduct involving all Department employees except those of the Federal Bureau of Investigation and the Drug Enforcement Administration, and attorneys where the allegation involves the exercise of authority to investigate, litigate or provide legal advice, and any law enforcement participants in such cases. The OIG also investigates all allegations of fraud by contractors, grantees, and recipients of Department benefits, and third parties improperly seeking to influence the Department or its employees. The OIG conducts audits and inspections of Department programs, operations, contracts and grants to detect and prevent fraud, waste and abuse. It also recommends, where appropriate, changes in policies or procedures to improve efficiency. The Inspector General reports directly to the Attorney General, has access to all Department records and documents, may subpoena records from outside sources, and administers oaths and takes affidavits as necessary. In addition, OIG special agents are deputized as Special Deputy U.S. Marshals. The OIG completed an investigation into allegations of drug trafficking by persons associated with the Central Intelligence Agency (CIA) and the Nicaraguan Contras (Contras). This investigation was initiated at the request of members of Congress after a public outcry over allegations contained in a series of articles in the San Jose Mercury News. The articles suggested that the CIA, working with supporters of the Contras, was involved in the importation of crack cocaine into Los Angeles in the 1980s. The OIG investigation focused on the Department's investigations and prosecutions regarding various aspects of these allegations. OIG investigative team reviewed over 40,000 relevant documents collected from Department components and conducted over 200 witness interviews throughout the United States and Nicaragua. The OIG coordinated our investigation with the CIA's OIG, which engaged in a related inquiry focused on the CIA's conduct in these matters. The OIG report was scheduled for release in mid-December 1997. However, the Attorney General invoked her authority to delay its release, pursuant to the Inspector General Act of 1978, as amended, "because of law enforcement concerns unrelated to the ultimate conclusions reached in [the] report." the report was released when the law enforcement concerns abated. This OIG investigation examined how two illegal aliens, Gazi Ibrahim Abu Mezer and Lafi Khalil, entered and remained in the United States before their July 1997 apprehension in Brooklyn for allegedly planning to bomb the New York City subway system. OIG found that the INS Border Patrol arrested Mezer three times in seven months for attempting to enter the United States from Canada. Twice, he voluntarily returned to Canada. After the third arrest, INS began formal deportation proceedings but Mezer was released on bond while the proceedings were pending. Khalil entered the country legally, with a 29-day transit visa for transit through the United States on his way to Ecuador. When he arrived in New York, however, an immigration inspector mistakenly granted him a 6-month tourist visa. He overstayed that visa and was arrested, along with Mezer, on July 31, 1997. OIG examined documents relating to Mezer's and Khalil's contacts with immigration authorities and interviewed numerous INS and other government officials regarding their contacts with the suspects. OIG found no intentional misconduct by INS or Department of State (State) officials. However, OIG identified systemic problems in controlling the United States borders, including a lack of space to detain all aliens who attempt to enter the United States illegally. OIG concluded that INS and State must clarify which agency is responsible for determining whether an asylum applicant is a terrorist. OIG also recommended that INS and State review the criteria for granting "transit without visa" travel and delineate their respective roles in the visa process. The OIG investigation of Operation Gatekeeper -- the INS Border Patrol's effort to stem the flow of illegal immigration across the U.S.-Mexico border between California and Baja California -- began in July 1996 shortly after officials of the National Border Patrol Council alleged that Operation Gatekeeper's achievements were being misrepresented to make it appear successful. The allegations included claims that Border Patrol agents were being ordered not to apprehend illegal immigrants, that apprehended illegal immigrants were not properly processed in order to prevent any record of their apprehension, and that Border Patrol supervisors were altering apprehension figures to make them appear low. In September 1995, INS initiated Citizenship U.S.A. (CUSA), a program whose stated goal was to substantially reduce the backlog of pending naturalization applications. Over one million individuals were naturalized during the year the program was in operation. In May 1997, at the request of Congress and the Attorney General, the OIG began an investigation of CUSA following allegations of misconduct within the program, including allegations that applicants with disqualifying backgrounds were naturalized and that standards were compromised in an effort to maximize the number of persons eligible to vote in the November 1996 elections. A team of senior attorneys and more than 30 special agents, inspectors, auditors, and support personnel continues to investigate these allegations. The team has conducted more than 700 interviews of INS personnel and others and has reviewed thousands of documents. The investigation is ongoing. In September 1997, the Attorney General and the Director of the Federal Bureau of Investigation (FBI) learned that classified intelligence information pertaining to the Department's campaign finance investigation may not have been appropriately disseminated within the FBI and the Department. In November 1997, the Attorney General asked the OIG to review how this intelligence information was handled. OIG reviewed over 10,000 pages of classified information and conducted numerous interviews. The investigation is ongoing. In the late 1980s and early 1990s, the FBI and U.S. Attorney's Office in South Carolina conducted a major investigation, called "Lost Trust," into corruption, vote buying, influence peddling, and drug usage in the state legislature. After litigation that lasted over six years, a U.S. district judge dismissed all remaining charges on the grounds that "the government's repetitious, flagrant, and long-standing misconduct in connection with the investigation and prosecution of the legislators warranted dismissal." The Court alleged misconduct by the FBI, U.S. Attorney's Office, and the Department's Public Integrity Section. This opinion also was critical of an earlier investigation by the Department's Office of Professional Responsibility (OPR). At the request of the Deputy Attorney General, the OIG initiated a full review of the prosecutions and investigations implicated in the Court's dismissal order. The investigative team, led by two attorneys, reviewed documents related to the investigation and prosecution of the cases and related documents generated by the Department's OPR and FBI's OPR. The team interviewed the many persons involved in handling these cases. The investigation is ongoing. The Criminal Division's International Criminal Investigative Training Assistance Program (ICITAP) and Overseas Prosecutorial Development Assistance and Training (OPDAT) office foster, support, and strengthen democratic principles and structures of law enforcement in foreign countries. Particularly in those countries that have recently embraced democracy, ICITAP and OPDAT provide training for police, prosecutors, and the judiciary and advice on American laws and programs to combat crime within a democratic framework. In April 1997, the OIG began an investigation of ICITAP and OPDAT following allegations of program mismanagement and supervisory misconduct. The investigative team of special agents, auditors, inspectors, and support personnel, under the direction of a senior attorney, interviewed over 90 witnesses in the United States and several foreign countries and has reviewed over 5,800 pages of documents. The investigation is ongoing. Kenneth Trentadue, an inmate being held at the Federal Transfer Center in Oklahoma City, Oklahoma, was found dead in his cell in August 1995. The Bureau of Prisons (BOP) concluded that Trentadue committed suicide by hanging. However, allegations that Trentadue was murdered and that evidence was mishandled led to an investigation by the FBI and the Department's Civil Rights Division. The investigation concluded that there was insufficient evidence of a violation of the federal criminal civil rights laws. Following that investigation, the OIG began a separate review to determine whether BOP and FBI employees engaged in misconduct in the events surrounding the death of Trentadue. The investigation is ongoing. In April 1997, the OIG issued its report on the FBI Laboratory. This report discussed the 18-month investigation of wrongdoing and improper practices within the Laboratory. The report recommended numerous changes in the Laboratory, all of which the FBI agreed to implement. Since the report was issued, OIG have continued to monitor the FBI's implementation of our recommendations. OIG investigative team reviews periodic progress reports from the FBI that address the Laboratory's implementation of recommended changes and preparation for accreditation. At the close of the reporting period, OIG initiated a review to determine the extent to which the Laboratory has implemented OIG recommendations, using the team of lawyers, scientists, and investigators who conducted the original investigation.  Investigators conducted 36 Integrity Awareness Briefings for Department employees throughout the country. These briefings are designed to educate employees concerning the misuse of a public official's position for personal gain and to deter employees from committing such offenses. The briefings reached over 1,107 employees with a message highlighting the devastating consequences of corruption to both the employee and the agency.  During 1997 the Investigations Division's McAllen Field Office joined with the FBI and eight other federal, state, and county law enforcement agencies to form the South Texas Public Corruption Task Force. The first of its kind in South Texas, this full-time task force will investigate allegations of drug-related public corruption in South Texas and along the Southwest Border. The combined resources and expertise of the member agencies will significantly enhance OIG's ability to detect and deter public corruption. The task force includes agents and officers from the OIG, U.S. Attorney's Office for the Southern District of Texas, FBI, and Drug Enforcement Administration (DEA). Other members include the U.S. Customs Service's Office of Internal Affairs, Internal Revenue Service (IRS), Texas Department of Public Safety-Texas Rangers, Hidalgo County Sheriff's Department, Hidalgo County District Attorney's Office, and Cameron County District Attorney's Office.  The Investigations Division's San Diego Field Office continues its active participation in the San Diego Civil Rights Working Group. The OIG participates with the group in addressing specific complaints identified at group meetings and facilitating communication and resolution of more general complaints between component agencies, such as INS and Border Patrol, and community groups, thereby making both government agencies and community groups more aware of each other's concerns, viewpoints, and procedures.  The San Diego Field Office also participates, along with the FBI, U.S. Customs Service's Office of Internal Affairs, IRS, DEA, and U.S. Attorney's Office, in the San Diego Border Corruption Task Force. This pooling of resources results in more effective and timely investigation of drug-related corruption allegations involving the Department and U.S. Customs Service employees stationed along the U.S.-Mexico border.  The Audit Division continued to monitor INS' critical automation initiatives, which will affect nearly all aspects of INS management. Auditors attended INS' quarterly meetings to monitor their effective use of automation resources and provided input regarding INS' monitoring of these initiatives. In addition, auditors held discussions with INS regarding audits of the contractor and subcontractors assigned to the automation initiatives.  Inspectors continued to work with the Department's Office of Justice Programs (OJP) to implement the new Violent Offender Incarceration and Truth-In-Sentencing Incentive (VOI/TIS) Grant Program. Inspectors participated in OJP conferences to discuss project implementation and the enactment of truth-in-sentencing legislation. During this reporting period, inspectors initiated seven VOI/TIS grant reviews.  By statute, every three years each OIG audit office must be examined by an outside entity to ensure that its operations conform to established professional norms. During this reporting period, a team of senior auditors conducted an external quality control review of the Department of Commerce's OIG. On March 5, 1998, the IG testified before the Senate Judiciary Committee's Subcommittee on Immigration during a hearing on INS' efforts to reform the naturalization process. The IG's testimony concerned an OIG investigation into citizenship testing fraud that resulted in the indictment of 20 individuals for their participation in schemes to fraudulently obtain naturalization documents for aliens. The Inspector General Act of 1978, as amended, directs the IG to review proposed legislation and regulations relating to the programs and operations of the Department. Although the Department's Office of Legislative Affairs reviews all proposed or enacted legislation that could affect the Department's activities, the OIG independently reviews proposed legislation affecting the OIG itself or fraud, waste, and abuse in the Department's programs or operations. During this reporting period, the OIG reviewed seven pieces of proposed legislation. This work is overseen by the OIG's Office of General Counsel (OGC). In addition, OGC has participated in the development of Departmentwide guidance relating to assistance to victims of crimes and the implementation of better mechanisms for handling sexual harassment issues. The IG is a member of the President's Council on Integrity and Efficiency (PCIE). OIG staff participate in PCIE activities -- such as the Inspections Round Table, an annual investigations conference, meetings of the Chief Financial Officers Group, and the OIG GPRA (Government Performance and Results Act) Coordinators' Interest Group -- that relate to their respective duties. The IG also is a member of the Investigative Standards and Training Committee and the Legislation Committee. The OIG is a member of the Office of Investigative Agency Policies (OIAP), which is composed of the Department's law enforcement components and which develops coordinated policies for law enforcement activities. Among the issues addressed this year by the OIAP were guidelines for federal law enforcement legislation, amendments to the Department's deadly force policy, soft body armor procurement, and post shooting representation for law enforcement personnel.